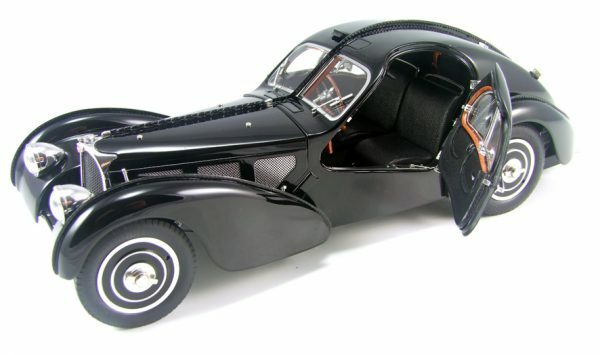 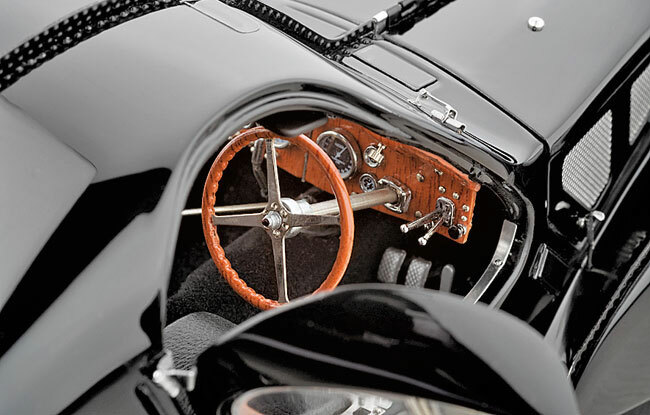 1/18 1938 Bugatti T57SC Atlantic. 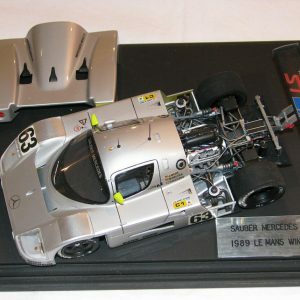 All of the parts open and it is made from over 1700 pieces! 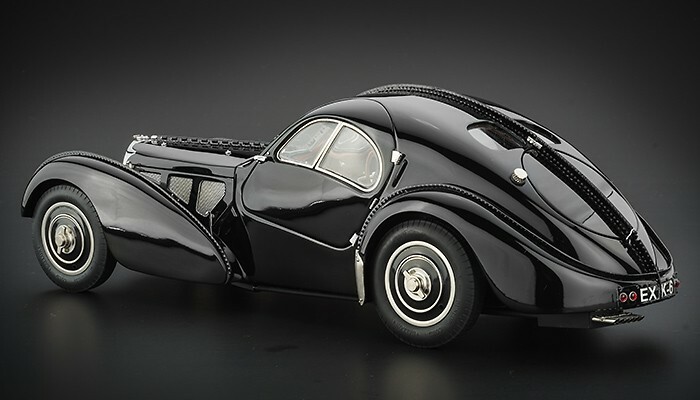 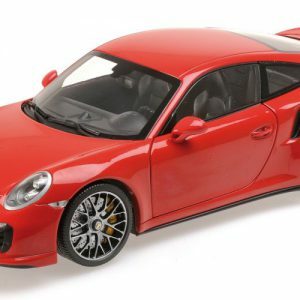 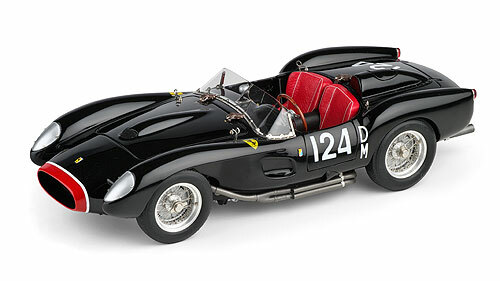 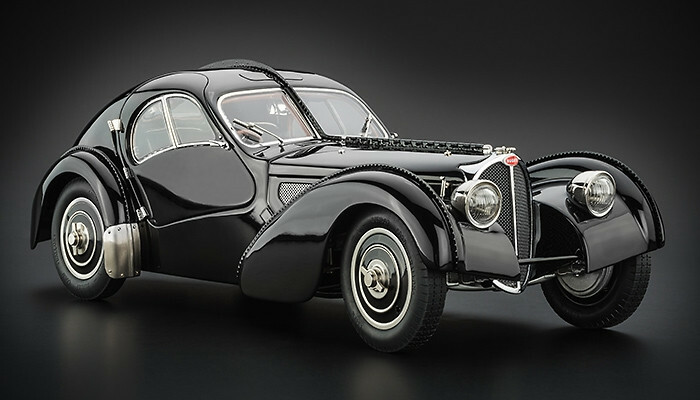 This model is an accurate reproduction of Ralph Lauren’s car, in a now sold out edition of 5000. 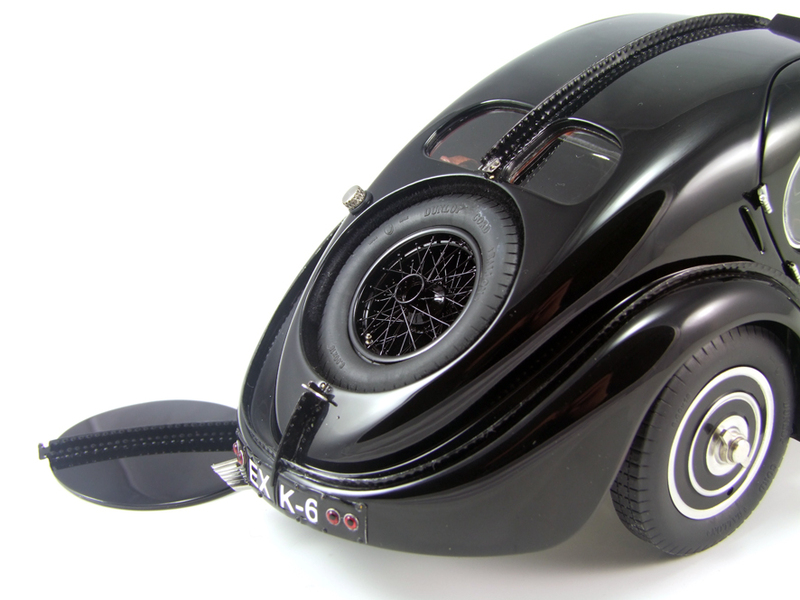 One left! 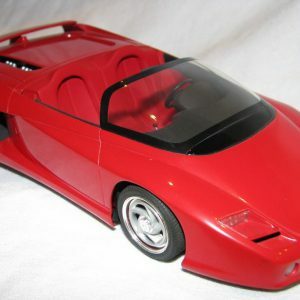 (CMC M-085).